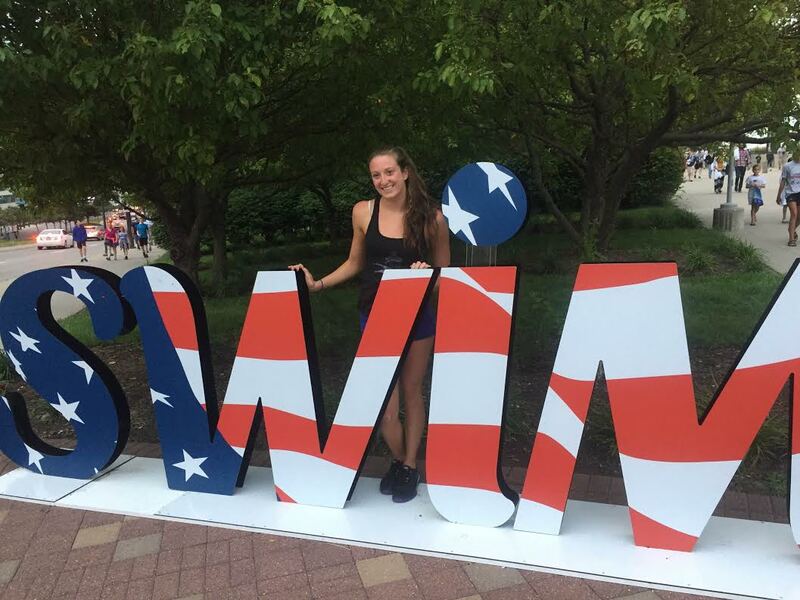 UMBC swimming and diving standout Emily Escobedo ’17, psychology, capped her historic year with a strong finish in the 200m breaststroke at the U.S. Swimming Olympic Trials, held last week in Omaha, Neb. In the 200m breaststroke prelim, Escobedo finished 4th in her heat and 16th overall with a time of 2:29.12, earning a trip to the semifinal, which aired live on NBC. In the semifinal Escobedo swam an impressive 2:27.03, finishing in 10th place, just two spots shy of qualifying for the finals. Earlier in the week, Escobedo placed 54th in the 100m breaststroke, winning her preliminary heat with a time of 1:10.72. She also placed 36th in the 200m individual medley, earning third in her prelim heat with a time of 2:17.67. Competing in the Olympic Trials adds to Escobedo’s growing list of athletic accomplishments. 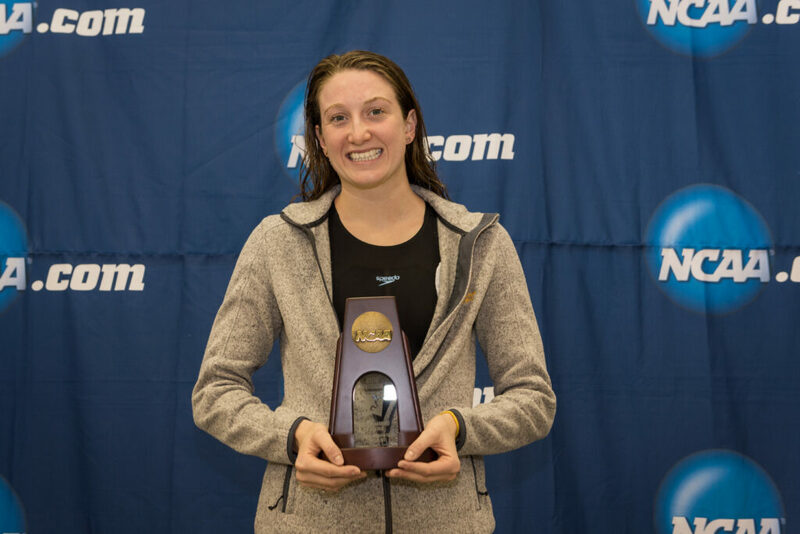 Earlier this year, Escobedo won bronze in the 200m breaststroke at the NCAA finals, becoming the first Retriever to earn All-American status in the pool. She has also been named America East Rookie of the Year and Swimmer of the Year three times, earning multiple trips to the NCAA Championships, and becoming the first Retriever to score at the national meet. Escobedo is also a phenomenal scholar-athlete. In 2016, she was named to the America East All-Academic Team and as a Collegiate Swimming Coaches Association of America Scholar (CSCAA) All-American. The CSCAA scholar award recognizes students-athletes competing in the NCAA championships who have maintained a 3.5 GPA or higher during the school year. See additional details at UMBC Athletics. Images, top-bottom: (1) Emily Escobedo at the 2016 NCAA swimming finals, photo courtesy of Tim Binning/The Swim Pictures. (2) Emily Escobedo enjoying the 2016 U.S. Swimming Olympic trials, photo courtesy of Emily Escobedo. (3) Emily Escobedo receiving her bronze in the 200m breaststroke at the 2016 NCAA swimming finals, photo courtesy of Reagan Lunn.